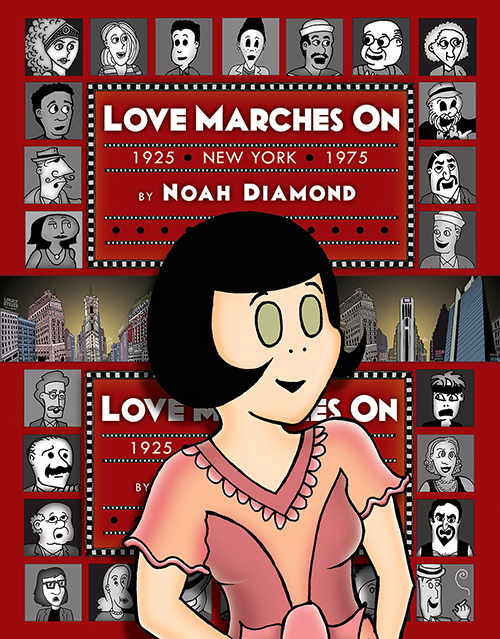 Love Marches On is a Broadway saga in comic strips.The story is set in and around Times Square, in the years 1925 and 1975. The book contains the authoritative printing of all 188 daily strips and Sunday broadsheets, plus a rich archive of artifacts which expand the world of the story. CLICK HERE TO READ THE FIRST EIGHT WEEKS OF LOVE MARCHES ON COMICS FOR FREE, RIGHT NOW! Sorry, the caps lock was stuck. But think of it -- the first 59 installments, yours! This is plainly a trick, to get you to buy the book, to get the rest of the story. Fall for our little scheme now! Buy Love Marches On from Lulu! 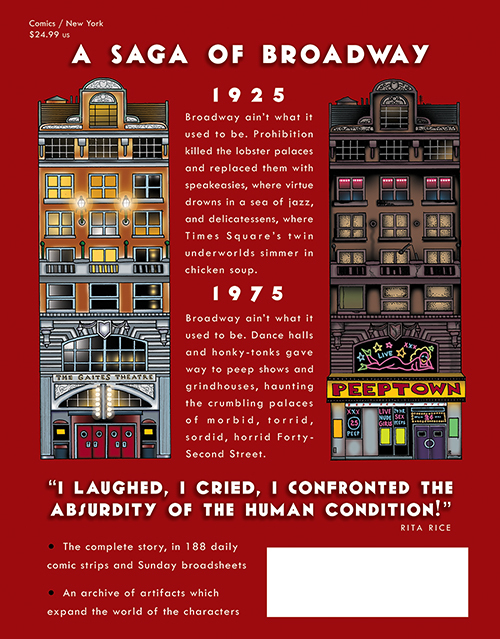 Or, if you prefer, buy it from Amazon or B&N!